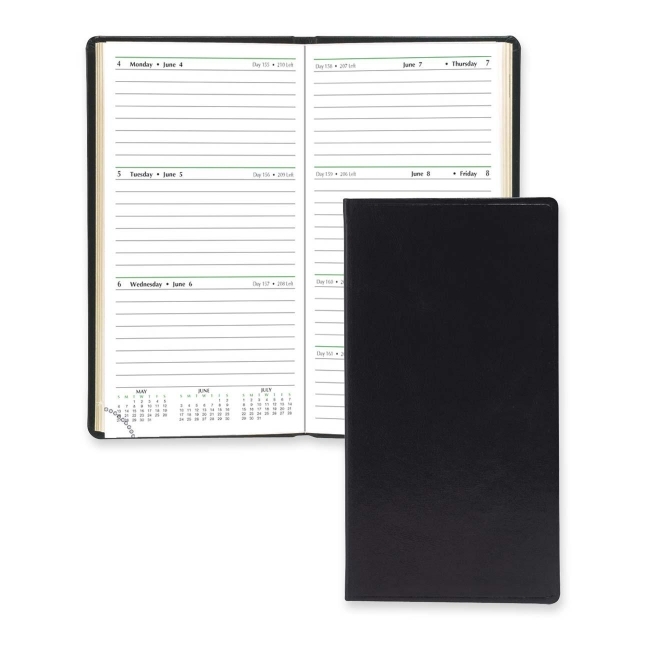 Media Size: 3.38" x 6.25"
DAY-TIMER 13551 Slim Weekly Appointment Planner Black Cover 3.38" x 6.25"
Slim Weekly Planner offers a trim design that easily fits in a pocket or purse. Two-page-per-week spreads offer past, current and future reference calendars, Julian dates and ruled daily spaces to write notes and appointments. Planner ranges 12 months from January to December. 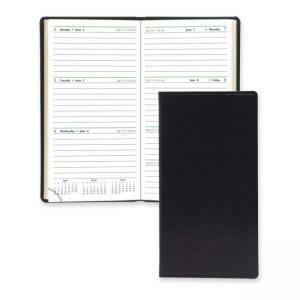 Features a leatherlike cover, yearly planning and expense pages, information a reference pages and perforated corners for easy referencing.